"Unlike acutiflora varieties, Korean Feather Reed is a warm season grass blooming late summer. Its large bottle brush plumes emerge with a wonderful pink tint which change to cream late summer/early fall and finally to tan for winter interest. 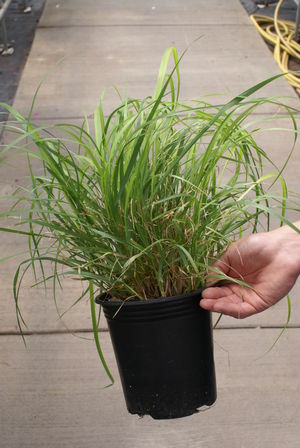 This variety is also more tolerant of shade compared to other Calamagrostis." 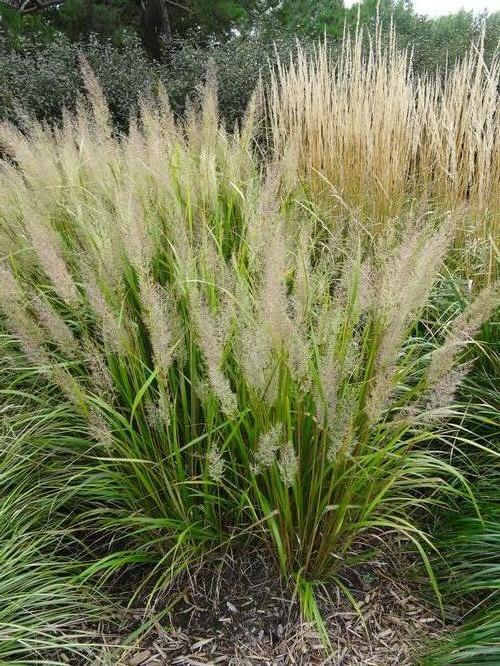 Medium green clumping grass with a more open form, tall stems with fluffy bottle-brush like plumes gracefully arch from the clump, plumes open slightly pink and dry to a bronze hue, tolerates moist locations.